If you're already running macOS Mojave and you're having trouble opening CCC, be sure to download the latest version of CCC. So Apple has shipped the next major operating system, and you're excited to upgrade! But are you ready? OS upgrades offer the thrill of new features, better performance and bug fixes, but they can come at a price — your time and potentially your productivity. If you upgrade your OS only to discover that a critical third-party application or peripheral doesn't work right, you could be really lost when you discover that it's impossible to downgrade to a previous OS. Unless, that is, you have a complete, bootable backup of your Mac made before you upgrade. Get a backup disk. If you need advice, we offer some here in CCC's documentation. Prepare your backup volume for an installation of macOS. Download CCC and fire it up. Choose your startup disk in the Source selector. Choose your backup volume in the Destination selector. Test that your backup drive is bootable: Select the backup disk as the startup disk in the Startup Disk Preference Pane in the System Preferences application, then restart. Choose About This Mac from the Apple menu to verify that your Mac booted from the backup disk. Reset the startup disk selection in the System Preferences application to your production startup disk and restart. 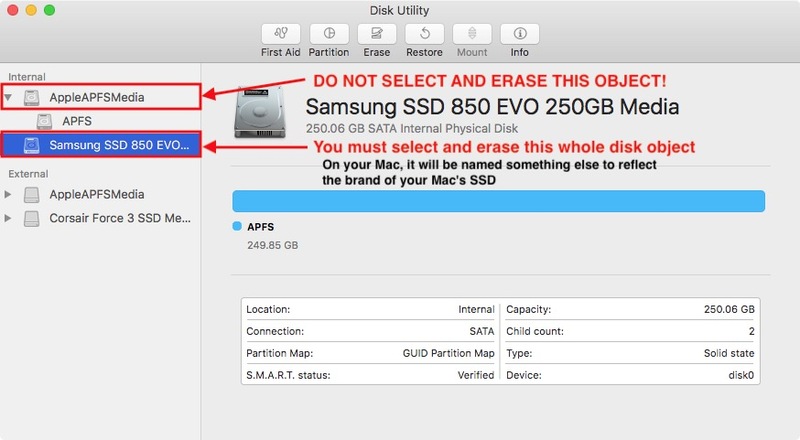 Detach your backup disk from your Mac and set it aside. Until you are ready to commit to the newer OS, you don't want the backup disk to be upgraded automatically by a scheduled backup task. If you're running High Sierra when making this backup, you may have noticed that CCC creates a snapshot of your startup disk. 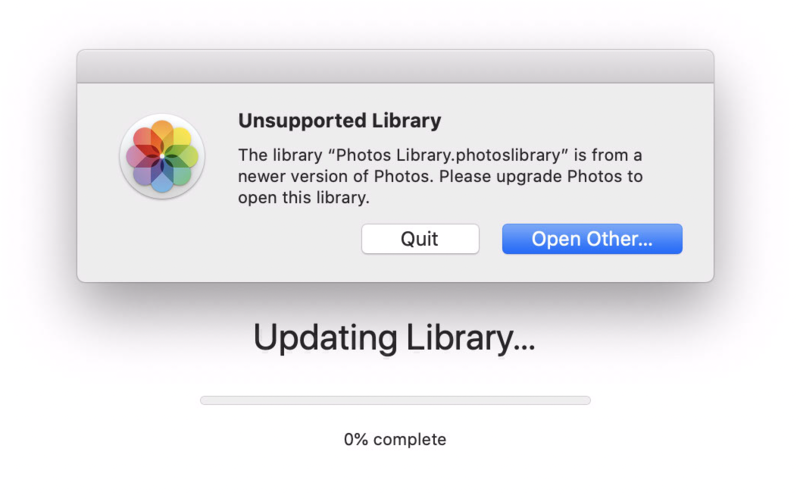 After upgrading your startup disk to macOS Mojave, however, you may find that all of the snapshots on the startup disk have been removed. We don't know Apple's reasoning behind this choice (nor do we know whether there are cases where snapshots might not be deleted), but it is important to know that this can happen. The snapshots on any APFS-formatted destination volumes will not be affected, and of course you can always restore from your current CCC bootable backup whether it's formatted APFS or HFS+. Download the newest OS from the Mac App Store and apply the upgrade. Take some time to run the applications that are most important to you. If, after a week or so you decide that everything is copacetic and you are ready to commit to the new operating system, attach your backup disk to your Mac, open CCC and re-run your backup task with the same settings — CCC will update your backup volume with only the items that have changed since your last backup. This is an important step — once the backup task has completed, the operating system on your backup disk will match the source, and you will no longer be able to use the backup to downgrade to the previous OS. Keep in mind that when you open an Apple application on the newer OS (e.g. Mail, Contacts, Calendar, etc. ), those applications will immediately and irreversibly upgrade the user data for those applications. You cannot simply reinstall High Sierra (for example), then go about your day with the upgraded user data; the Mojave versions of those Apple applications can't use the upgraded data. If you need to downgrade to a previous OS, it is imperative that you have a complete, bootable backup of your Mac as it was prior to the upgrade. Open CCC and disable any backup tasks that are scheduled to back up to your backup disk. Attach your CCC backup disk to your Mac. Open the Startup Disk preference pane in the System Preferences application. Choose your backup volume as the startup disk, then click on the Restart button. Select the whole disk device that contains your original startup disk. This step is very important. See this screenshot for clarity. If you're downgrading to an OS older then High Sierra or you're restoring to a Fusion device, use the OS X Extended, Journaled format. If you're downgrading to High Sierra, choose APFS. Select your backup volume from the source selector. Select your original (now empty) OS volume from the destination selector. Stick with the default settings — SafetyNet On. When the restore process has completed, reset your startup disk in the System Preferences application and restart your Mac. You'll be back to your previous OS in no time! Note: If you created or modified any documents while the system was running the newer operating system, the older versions of your files will be restored. Unfortunately, your personal data created by Apple applications (e.g. Calendar, AddressBook, Mail, Photos, etc.) while using the newer OS will be incompatible with an older OS, so it is not possible to restore that information. "I don't have a pre-upgrade bootable backup, and now I want to downgrade. What can I do?" If you have applications that you want to restore, we recommend restoring them via drag and drop in the Finder, or reinstall them from their installers. Keep in mind that this is going to replace anything that you currently have in your home folder. If you have already restored items manually, this will undo that, and you may want to consider manually restoring files via drag and drop instead. If you get stuck or need some advice, you can get help right from within CCC. Choose "Ask a question" from CCC's Help menu to pose a question to our Help Desk.